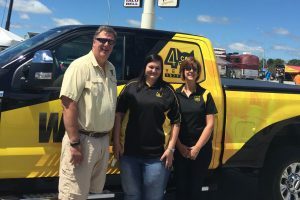 On Friday, July 14th, shortly after 11:30 am Alexandra Corbin’s life got a whole lot better when she was presented the keys to her new truck! 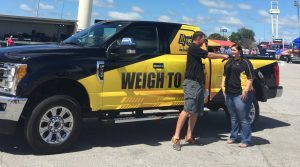 She is the lucky winner of a 2017 Ford F250 4×4 Pickup in CAT Scale’s Weigh to Win® Sweepstakes. Alexandra always uses CAT Scale because of the guarantee and will now be a forever loyal customer. Her new 2017 Ford F250 is loaded with all the bells and whistles. 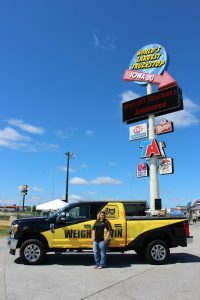 Each time a driver weighed on a CAT Scale they had a chance to win prizes instantly by playing the Weigh to Win Sweepstakes online at weightowin.com! In addition to the Ford F250, CAT Scale gave away over 5,800 prizes valued at over $110,000.